The name of your party must be recognized by the people to the extent that it goes through their mind every single time whenever its the matter of voting. For this, you have to do promotion in a way that they would hear your political party’s name multiple times. And Without a doubt, there won’t be any other better alternative for the same. In order to create a winning strategy in elections, you first need to know what the voters think about you! For this, you can create a questionnaire which you can ask from the voters. Multiple choice questions can be even more engaging hence responsive. 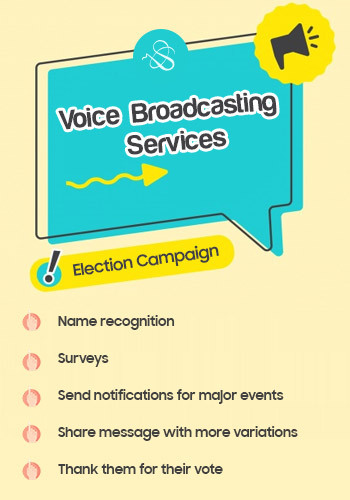 Just like sending bulk SMS, you can also opt to send voice messages in order to notify the supporters and the voters in your own voice through Voice Messaging system. This can create a better impact on the listeners. The most advanced feature of voice broadcasting is that you can add variations in tone in order to impact in an even more powerful manner on the listeners. In other words, you can add multiple variations in the tone of your voice message to make more effective than a single tone voice message. 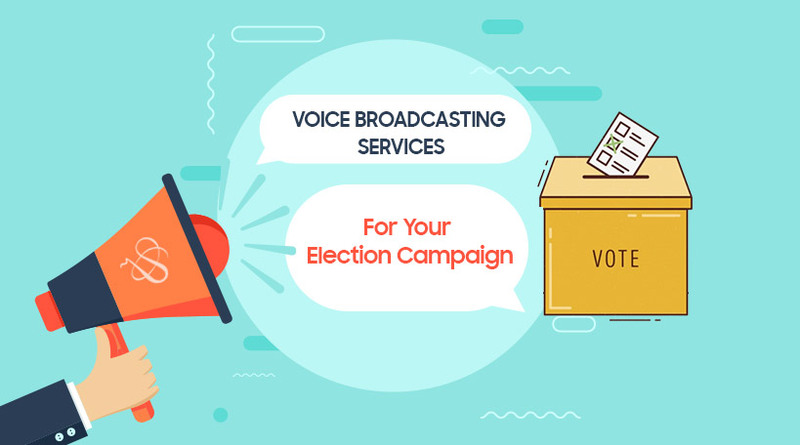 Greet your supporters and party members by sending them a prerecorded voice message to make them feel more connected. Voice broadcasting is quite a unique way to greet people and stand out from the crowd! Last but not least, thanking the voters and supporters is a must! They will be amazed to hear it from you and feel grateful. A voice message is probably the best way to say THANK YOU. Contact a voice broadcasting service provider and a suitable package for promotion. Send using the application. And it’s done! It’s clear that voice broadcasting services are going to play an important role in promotions. So without any more delay, avail the services and improvise your election campaign strategy by introducing this new element in it.